« Warning: This recipe will not make you a perfect mum! Thank you, let’s hope there will more sunny Sundays to come! What a lovely photo. Gorgeous day and two (even three!) very happy smiles. I hope you all had a wonderful day. 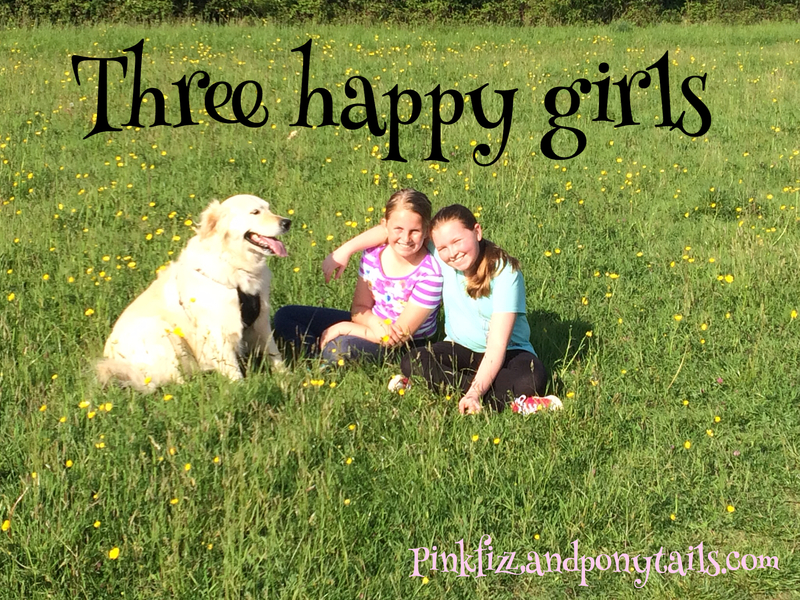 Haha, yes that is our doggy’s very happy face, and the girls had just whizzed down a big hill on their bikes and loved it too! Yes she is one big, fluffy, soppy ball of fun! The girls would love a Chihauhua, they always say they want another dog that they can pick up – they had to give up on picking Lola up when she was about 4 months old!